When did you open Maison-Basque? I opened this location in September, 2016. I wanted to introduce traditional fabrics from the Basque Country in Southwest France, where I’m originally from, to a Canadian market. My business serves as a bridge by showcasing and honouring the talents from two countries; fabrics are designed and woven in SW France, while local Canadian seamstresses and upholsterers that I have carefully selected, create custom products from those fabrics. Tell us a bit about your business. What makes you unique? The fabric that I import from Southwest France is very unique. 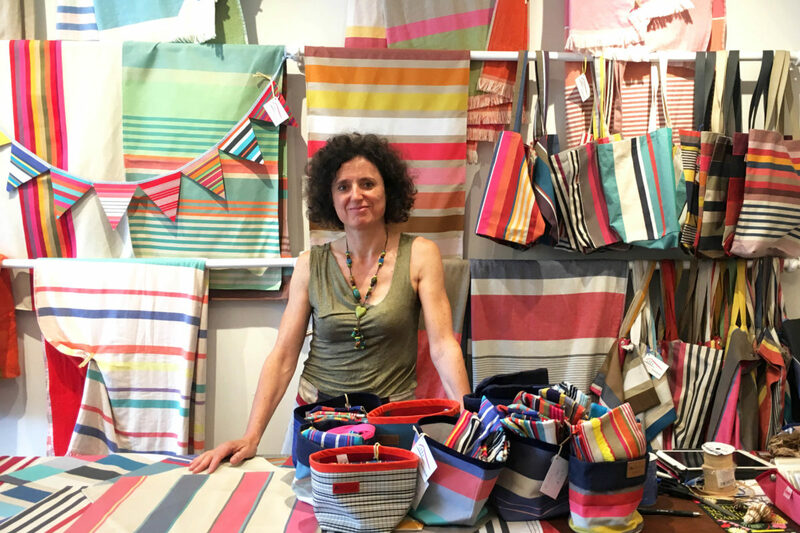 It is created at the French design house Artiga, which uses centuries-old Basque weaving traditions to craft colourful contemporary striped textiles. The bright, colourful stripes bring a joyful feeling to home furnishings and accessories.? I love to work with clients to create custom products. I view the fabric like a “bucket of lego”, which we use to create something unique for each client under the talented hands of our local makers. Every person is touched by colour and art in a different way, so it is very gratifying to connect with a client and work together to create a piece that they will love. Inspired by the authenticity of our artisan stripes from Southwest France, we aim to embrace the Canadian way of living, whether in the city, in the countryside or at the cottage, both inside and outside. While Maison-Basque is the exclusive distributor in Canada for these beautiful fabrics, and we have an online store, we have also been extremely grateful for the support from the Baby Point community and local customers.